Benjamin Marie did all he could to help his team win. In the end, though, it wasn't enough to keep the Texas Rangers from losing, 4-3, to the Chicago (A) White Sox at Globe Life Park in Arlington. Marie went 2-4 with 2 home runs. He drove in 3 runs and scored twice. Juan Vélez converted his 28th save in 30 tries. The White Sox own a robust 79-42 mark. Jae-hyung Kang chipped in for Chicago (A) with a solo home run in the top of the seventh. 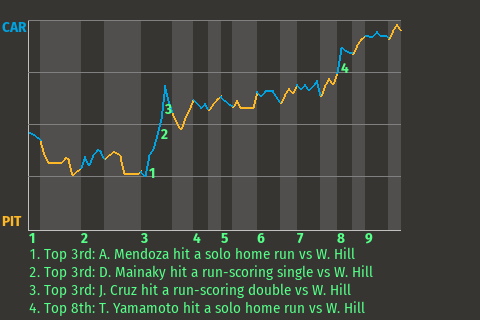 For the game, the designated hitter had 2 hits in 2 at-bats with 1 home run, 1 single, 2 runs scored, and 1 run batted in. Kang called the triumph "a good team win."